According to Forbes – 142,000 people move into San Diego each year and 72,000 move away. That’s why moving trash holds the number seven spot on our top ten junk removal requests. We keep our costs down because we are able to recycle much of the moving trash such as cardboard and packing material. Often folks ask us to remove household items before moving such as kitchen stuff and bulky furniture, We often find new homes for gently used household junk and furniture. A load of moving trash. 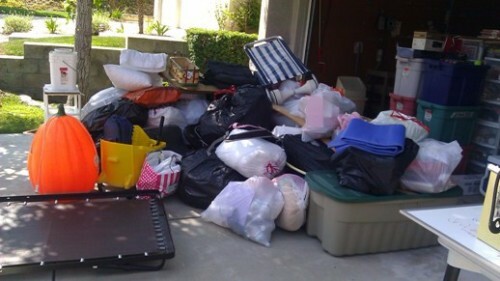 bags of clothes, household junk in the driveway before a move out.